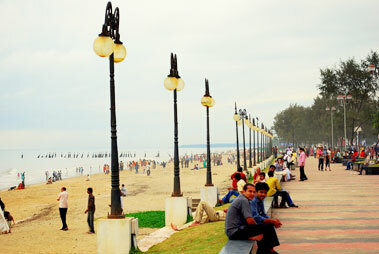 Kozhikode Backwaters offer its visitors with unique backwater experience. The tranquil and soothing surroundings of the Kozhikode backwaters make you feel splendid. The Kozhikode backwaters are also popular as the Vasco De Gama, was the first European who landed here, in 1498. The best way to explore the mesmerizing backwaters of Kozhikode is by opting for a houseboat cruise. This momentous journey offers one with a lifetime experience sailing along the Canoli and Kallai River.